Santa baby, slip a box of pizza bagels under the tree! Head to Follow Your Heart Market and Cafe and Erewhon Calabasas and grab all the boxes of pizza bagels from the shelves! ;-) Wrap 'em up for holiday gifts! You can even include our recipes on the box--just print them or write them on a handwritten note! Want to surprise your mom, dad, girlfriend or boyfriend with hot pizza bagels? Awesome! Making breakfast? Try our maple glazed tempeh bacon pizza bagels! Making party food? Try our mac and cheese pizza bagels! Get all of our delicious recipes here! We can't wait to tell you what we've been up to! We have lots of things in the works and all will be revealed very soon! Be sure to follow us on Instagram and Facebook for more ways to enjoy our pizza bagels, cute animal photos, and pizza bagel news! GIVE THANKS FOR PIZZA BAGELS! The holidays are here! START A NEW TRADITION WITH OUR DELICIOUS VEGAN PIZZA BAGELS! 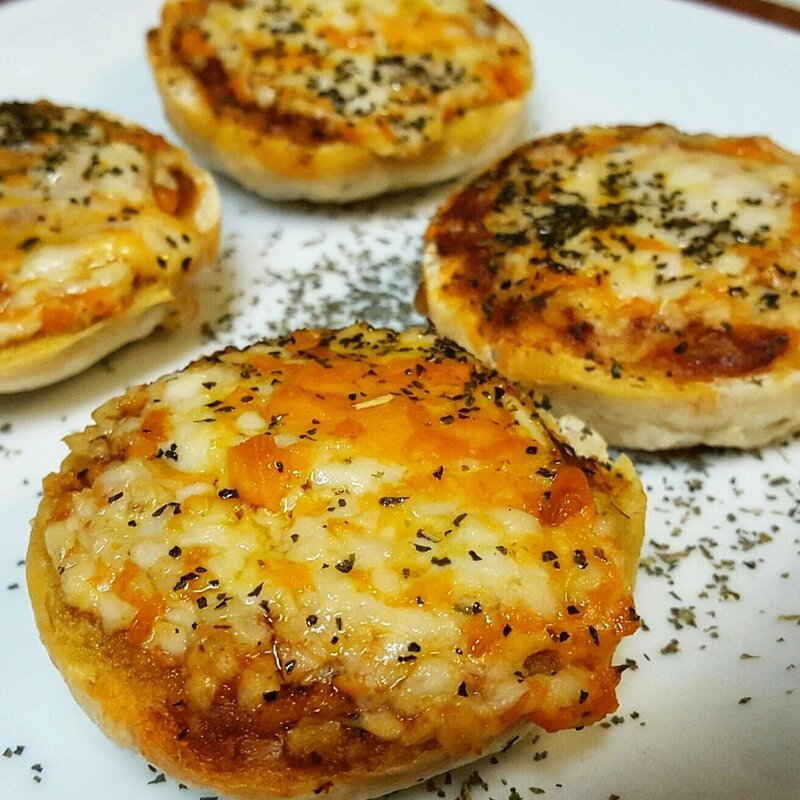 rachel's pizza bagels WILL make your holidays stress free AND FULL OF JOY! Try these simple recipes to share with your family and friends this holiday season! Step 1: Grab a box of Rachel's Pizza Bagels from Follow Your Heart Market & Cafe or Erewhon Calabasas---whichever is closest to you! Step 2: Visit our recipes page HERE! Step 3: Get cookin'! Recipes ready in under 30 minutes! Feeling lazy? 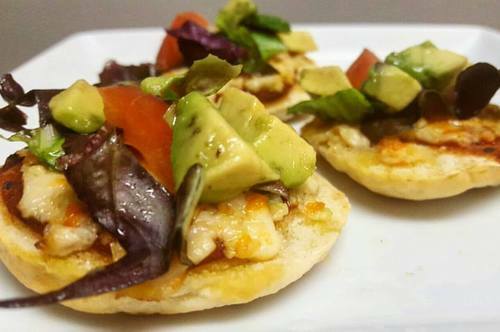 Pop your pizza bagels in the oven, chop 'em into bite sized pieces, and toss 'em in a salad! They make yummy croutons! wE HAVE A LOT IN THE WORKS FOR YOU, SO STAY TUNED! COMING SOON TO MORE STORES AND CITIES! Vegan Pizza Bagels for President! Join me for a pizza party this weekend! After you snag a sample, be sure to grab a box in the frozen isle to take home with you! Can't make it? Our pizza bagels are in the frozen isle at Follow Your Heart & Erewhon Market Calabasas! Grab some on your next shopping trip! We are working super hard to get in more stores and expand to more cities! Not in your store yet? Take our product request form to your favorite store! Have a great week! Thanks for your continued support! What do pigs, horses, chickens, glamorous drag queens, and vegan pizza bagels have in common?! They will be at Have a Heart Animal Rescue's Drag Queen & Pole Dance Party this Saturday night! So put on your dancin' shoes and come hungry! Don't miss this special event benefitting Have a Heart Rescue! Get your tickets here for a discounted price! RSVP & get more details here! Can't wait till Saturday? Join me for a pizza party tomorrow! 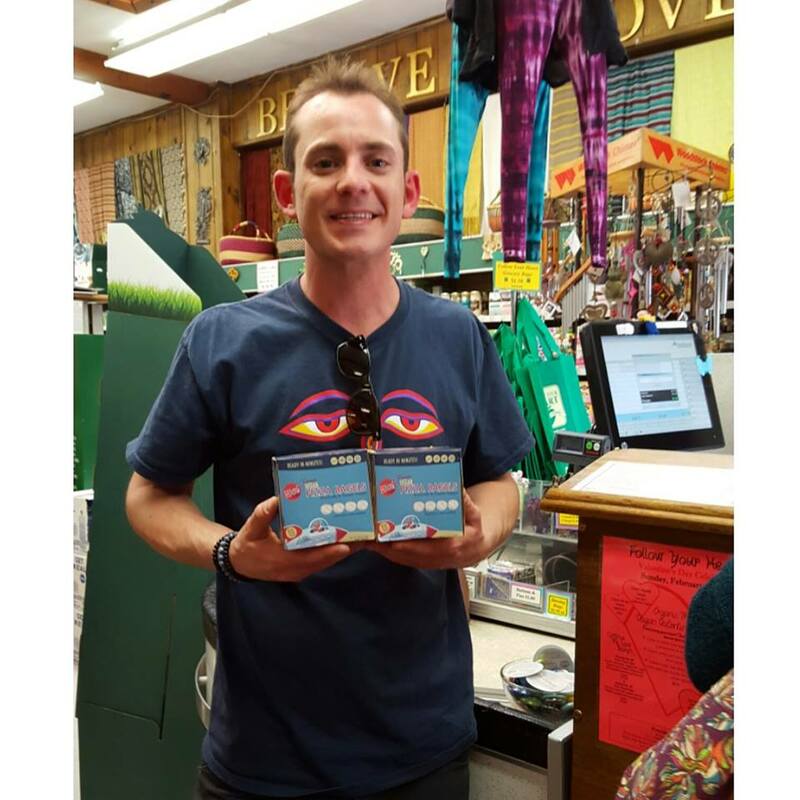 Stop by Follow Your Heart Market & Cafe and Erewhon Market Calabasas anytime and snag a few boxes! Find them in the frozen isle! We are working super hard to get in more stores! BIG news coming very soon! Be sure to fill out our request form & take it to your fave store to get our delicious one of a kind vegan pizza bagels on their radar! Click here to for our request form! FREE pizza bagel recipes here! Have a great week! Thanks for your support! Fantastic news in the pizza world! You can now find my delicious vegan pizza bagels at Erewhon Market in Calabasas! Join me for two pizza parties this week! Where: Erewhon Market Calabasas--RSVP here! Where: Follow Your Heart Market & Cafe--RSVP here! We love Erewhon! Help us get in Erewhon's Venice and Los Angeles locations, too! Show your support by coming to our pizza parties and snagging a box or two! Tell Erewhon Rachel's Pizza Bagels are always on your shopping list! Check out our delicious recipes here! My mac and cheese pizza bagels are my fave--pictured on right. Pizza Party on Sunday! No Foolin! I'm giving out FREE samples of my delicious vegan pizza bagels AND I'm also doing a special promotion--so come hungry! After you try a sample, be sure to snag a box! Before you gobble them up at home, snap a pic, use this hashtag--> #veganpizzabagels, and post widely to make your friends jealous and to help us grow! Click here to check out our newest pizza bagel review from the wonderful Stephanie of VeganWhat! Click here to join The Pizza Bagel Club for the latest news, and don't forget to check out the newest addition to our website; yummy recipes! Send us your vegan pizza bagel recipes to info@RachelsCosmicCuisine.com for a chance to be featured on our blog! Get a load of these mac & cheese pizza bagels! Hope to see you at Follow Your Heart on Sunday! We're throwing a pizza party on Thursday, March 17! After you bake 'em at home, be sure to snap a pic and share online using the hashtag #veganpizzabagels. Help us get our pizza bagels in your store in a few simple steps! Click here to get started! Join The Pizza Bagel Club for pizza news! Rachel's Pizza Bagels Sold Out! Even though we had a terrific pizza party and sold out, we hit a little snag over the weekend. The company we order labels for has a non working printer. We're working with a new printer and should have a new shipment of vegan pizza bagels ready by Wednesday! Please bear with us during this time. We're working hard to expand to more stores and cities, so cheer us on and help us get them in your local store! Click here for our Ask Your Store form! What are your plans for the weekend? Come join me for a pizza party on Saturday! Click here to RSVP! What's on the menu? FREE vegan pizza bagels and cool stickers! delicious, dairy-free, vegan, fun to eat, easy to make, great for snacks, meals, parties, and those late night pizza cravings! Want our delicious vegan pizza bagels at your fave store? Click here, print, fill out, & take to your store! 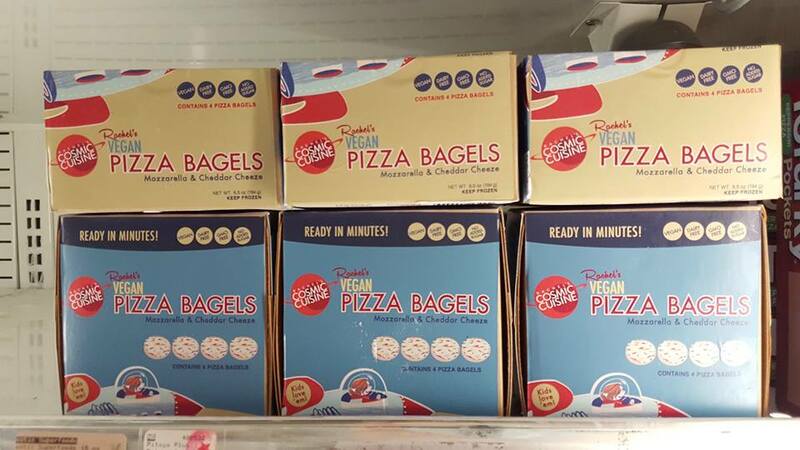 Who's been snackin' on Rachel's Pizza Bagels? VegNews staffers enjoy them for lunch! Click here to see their post! Greens & Fries calls Rachel's Pizza Bagels, "A true kitchen staple." Conscious Chris says, "What a beautiful time to be alive! 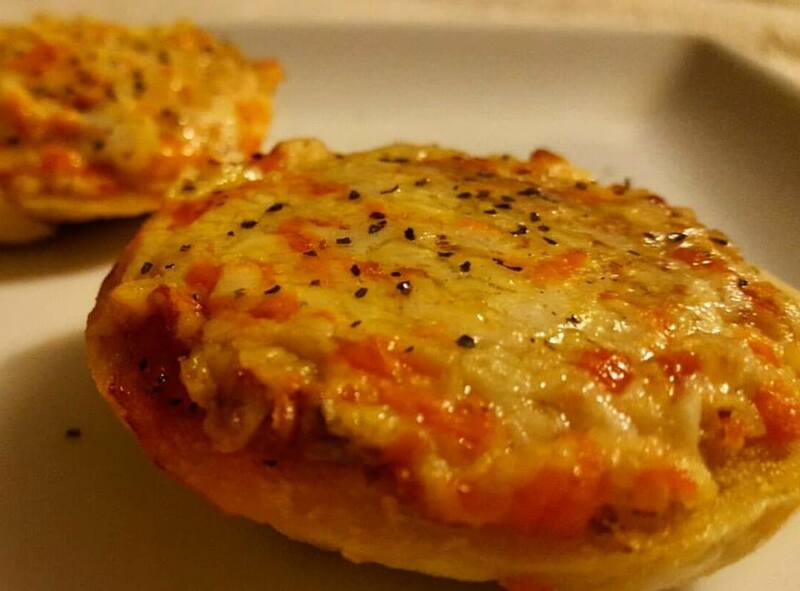 Rachel's Pizza Bagels are magical!" Check out his post here! If you haven't yet, be sure to join The Pizza Bagel Club for updates and cool news! Greens & Fries Loves Rachel's Pizza Bagels! "How yummy can a little mini pizza bagel be? As yummy as Rachel can make them apparently because these were absolutely perfect. I think most of us remember pizza bagels from our childhood." Check out the full review here, then pack your things, because you'll want to head over to Follow Your Heart Market & Cafe to snag a box right away! Vegan Pizza Bagels For The Win! Sunday's launch party at Follow Your Heart Market & Cafe was a great success! Thanks to everyone who came out to support! Also, a big thanks to my talented graphic designer Phil, Jacky from BeetXBeet, and Stephanie aka Sapling Vegan for making this possible! We sold out, so I'm back in the kitchen baking bagels and turning them into my delicious vegan pizza bagels! They will be back on shelves early this week. Be sure to join The Pizza Bagel Club to get the inside scoop on product updates, upcoming events, and more! Here are some photos from our launch on Sunday! Pizza Bagels on Valentine's Day! Hey you pizza bagel lovers! Rachel, here! We've been working hard on our relaunch and can't wait to share our delicious vegan pizza bagels at Follow Your Heart Market and Cafe in Canoga Park, CA on Valentine's Day, Sunday. I'll be giving out FREE samples from 11 to 2pm, so be sure to stop by and say hello! After you snag a sample, grab a box for you and your special Valentine! Find them in the frozen section. RSVP + get more details here! Rachel's Pizza Bagels are delicious, dairy-free, vegan, fun to eat, easy to make, great for snacks, meals, parties, and those late night pizza cravings!